Change things up with a short trip to Sea World Theme Park in Main Beach (about 1h 30 min away). The adventure continues: have fun at South Bank Parklands, admire the natural beauty at Roma Street Parkland, get great views at Mount Coot-tha Lookout, and find something for the whole family at Wheel of Brisbane. 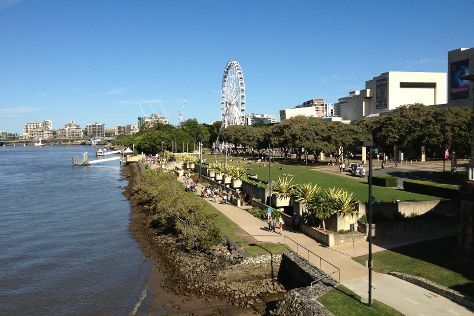 To find maps, ratings, reviews, and tourist information, refer to the Brisbane trip website . If you are flying in from United Kingdom, the closest major airports are Brisbane International Airport and Gold Coast Airport. In September, plan for daily highs up to 28°C, and evening lows to 15°C. Cap off your sightseeing on the 11th (Wed) early enough to travel back home.